Dr. Dong is the co-founder of Risk Management Solutions, Inc. and previously served as the Chief Technical Officer and Chief Risk Officer of the company. He has over 40 years of industrial, teaching, and research experience and has specialised in seismic hazard evaluation and risk assessment. His research interests include seismic design of buildings, structural responsibility, and the application of neural networks, pattern recognition, and artificial intelligence techniques to earthquake hazard mitigation and risk assessment. He has worked extensively with the insurance and investment industries, structural engineering firms, the State of California, and local and city government bodies, in the transfer of engineering technology. He has also participated in many joint venture projects (US-China, US-Japan) to share knowledge in hazard mitigation with other countries with similar concerns. Dr Dong is affiliated with the Institute of Catastrophe Risk Management (ICRM) at the Nanyang Technological University (NTU) in Singapore as adjunct professor, where he is actively involved with the design and execution of the institute research programs. As part of this engagement Dr. Dong introduced and has been teaching the first graduate level course on catastrophe Risk Modeling and Management at NTU. Currently, Dr. Dong is assisting the director of ICRM in creating the curriculum and designing the masters’ level program at ICRM for quantitative modeling and management of catastrophe risk in coordination with other related programs at NTU. With ICRM faculties in 2013 Dr. Dong has had interactive collaboration related to modeling of catastrophe flooding in the Pearl River delta in China, as well as assisting the director of ICRM in the design and outreach for an executive course in catastrophe risk management in China. Part of his engagement with ICRM involved advising and assisting ICRM faculties on wrapping up two ICRM projects (Jakarta flood, and Singapore earthquake). In April 2013, together with Dr. Stojanovski, he delivered another ICRM executive course on catastrophe risk management and modeling. Dr Stojanovski is a founder of Cat Risk Research, LLC - a consulting advisory dedicated to bringing the expertise of catastrophe risk modeling and management, product design, and cat research to the public and private sectors dealing with cat risk, and protection of property and livelihoods. He is currently a professor (adjunct) of the Institute of Catastrophe Risk Modeling (ICRM) in Nanyang Technological University (NTU), Singapore. Dr Stojanovski also serves as a board member of the WSSI (World Seismic Safety Initiative), and the Advisory Board of ICRM. He was also a founding Executive Director and CFO of Asia Risk Centre, an affiliate of RMS - agriculture risk modeling and related solutions for risk management impacting Asia. In Risk Management Solutions, Inc. (RMS), Dr Stojanovski served in leading positions in model development, operations, and products for deployment of cat models and data (aggregate loss models Industry Exposure Data, Industry Loss Curves, business interruption, casualty modeling, data quality quantification, geocoding, etc.). Prior to joining RMS, Dr Stojanovski was a visiting and consulting professor at the Blume Center (Stanford University) and professor at the Skopje University, Macedonia. 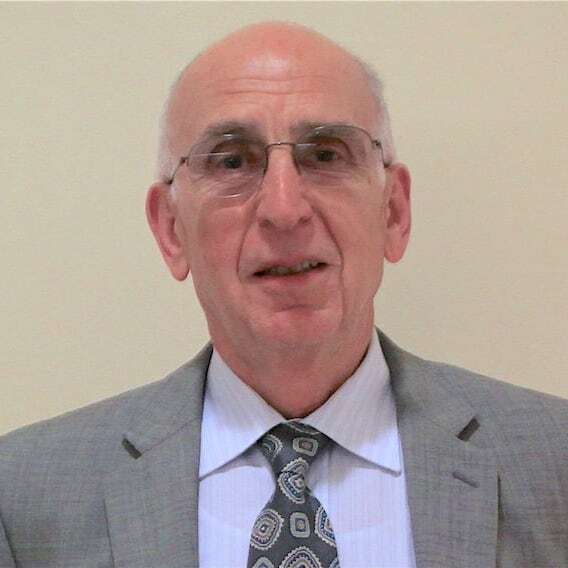 Dr. Stojanovski’s expertise and experience span property cat models (Nat cats and man-made), emerging risks, product platforms for model deployment, agricultural risk modeling and its challenges, product design and risk quantification, - including sustainable insurance solutions for the protection of the livelihoods of the poor. He has authored and co-authored a number of publications in these areas. A pioneer in the fields of risk analysis, earthquake engineering, and probabilistic methods, Haresh Shah is the Obayashi Professor of Engineering, Emeritus, at Stanford University, Founder and Senior Advisor of Risk Management Solutions, and Emeritus Member of the Board of Trustees at Nanyang Technological University, Singapore. Professor Shah has been the recipient of many honors throughout his career, including EERI's George W. Housner and Alfred E. Alquist Special Recognition Medals for his extraordinary and lasting contributions to earthquake safety worldwide, as well as International Insurance Society’s John S. Bickley Gold Medal for his sustained and outstanding contributions to the insurance industry. Most recently in 2015, in recognition of his exceptional and outstanding contributions to the academic development of Nanyang Technological University, Professor Shah was conferred an Honorary Doctor of Letters degree awarded personally from the President of the Republic of Singapore, Tony Tan Keng Yam. As an industry veteran with over 35 years of experience, Professor Shah considers risk protection of the masses as one of the most unmet needs of our world today. Such needs underpin the motivations for the formation of Asia Risk Transfer Solutions (ARTS). Professor Shah takes a personal interest in overseeing the strategic development of inclusive risk protection for the masses with ARTS. Engineer, technologist, and entrepreneur, Alex Chen is the Founder and Chief Executive Officer of Asia Risk Transfer Solutions (ARTS). Over the past couple of years, Alex has led extensive market and technical studies on the lack of adequate risk protection for billions of livelihoods across developing Asia, which culminated in the establishment of ARTS in early 2016. Alex received his B.EngSc. (Civil) and M.Sc. (Tech Mgt) degrees from Nanyang Technological University Singapore. He was named valedictorian of his graduating class and is the recipient of numerous accolades and awards, including the Lee Kuan Yew Gold Medal and the Institution of Engineers Singapore Gold Medal. He was also part of the Singapore team that emerged first globally at the Royal Dutch Shell “Ideas360” International Innovation Competition 2015. Alex’s work centers upon the systemic integration of natural sciences, financial engineering and technologies to develop an accessible, efficient and inclusive insurance ecosystem for developing Asia. He has been featured by the media and major industry publications, and invited to major international conferences as speaker, advisor and expert panelist. Dr Feng, a pioneer of the reinsurance industry in China, has been playing a key role in many industry initiatives. She is currently the Chairperson of Qianhai Reinsurance and had previously held the positions of Managing Director at China Re Group, Founding Vice Chairman and CEO of China Life Re and Director of the Science and Technology Division at the Chinese Academy of Sciences. Having completed her doctorate in the field of Micro-electronics in the Chinese Academy of Sciences, Dr. Feng went on to pursue post-doctorate research in Dortmund University, Germany. Dr Feng has received numerous awards for her contributions to the society such as the May 4th Prize in the financial industry and the Kangcheng Award. She has also been elected as an Eisenhower Fellow. She has also been featured in several media such as China Insurance News, Beijing Television, various papers and New Economic Weekly. A plant biochemist of international reputation, Professor Bertil Andersson is the 3 rd President of Nanyang Technological University, Singapore. During his stint from 2011 to 2017, he has led the university to global distinction, rapidly rising through the ranks to emerge as one of Asia’s top universities. Prof Andersson has a longstanding association with the Nobel Foundation. He was a member of the Nobel Committee for Chemistry (1989-1997) and its Chairman (1997). He was also a member of the Nobel Foundation (2000-2006) and held the position of the Trustee (2006-2010). He holds academic appointments as Professor of Biochemistry at Linköping University and Adjunct Professor at Umeå University. He is also a visiting Professor and a Fellow of Imperial College London. Prof Andersson has served on the boards of several Swedish and international foundations and learned societies, and an advisor to business activities in the biotechnology and pharmaceuticals sector. In Singapore, he serves on the Governing Board of the Singapore Centre on Environmental Life Sciences Engineering, and is a board member of A*STAR Singapore. Mr. Lohiya is a prominent figure in the Asia insurance industry with more than four decades of experience under his belt. He started his career with India's state-owned insurer The Oriental Insurance Co. Ltd. in 1977. There, he served in many technical departments at various capacities and subsequently assumed the role of General Manager in the company. From 2007 to 2011, Mr. Lohiya was appointed the Chairman and Managing Director of India's national reinsurer GIC Re. He also served as the Managing Director and CEO of IFFCO Tokio General Insurance Co. Ltd., one of the largest private insurance companies in India, from 2013 to 2017. In addition to the above, Mr. Lohiya held the Chairman position at GIC Housing Finance Ltd (India) and GIC Asset Management Co. Ltd. (India), and also served as Director on the Board of several corporations and commissions, including Life Insurance Corporation of India, the Kenindia Assurance Co. Ltd. (Kenya), and the East Africa Reinsurance Co Ltd (Kenya). He is also a Member of several professional committees, including the Council of the Asian Reinsurance Corporation of Bangkok, the Insurance Advisory Committee of Insurance Regulatory And Development Authority of India (IRDAI), the Governing Board of National Insurance Academy, the General Body of National Insurance Academy Society and the Insurance Institute of India.